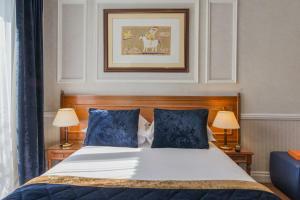 Located in the chic 8th district in Paris, Waldorf Madeleine is a 10-minute walk from the famous department store, Printemps, and 300 metres from Madeleine Metro Station. 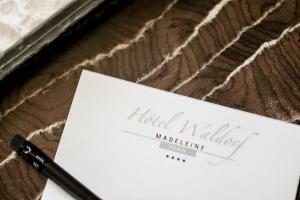 It offers a 24-hour reception with a tour desk. 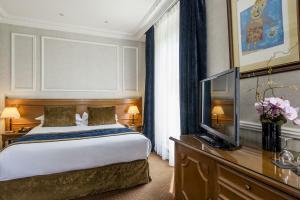 All air-conditioned guest rooms are equipped with a flat-screen TV with satellite channels and videos. 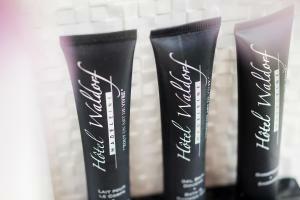 Each refined guest room at the Waldorf has a minibar. Marble bathrooms include amenities by Pascal Morabito. Ironing facilities can be provided upon request at the reception. Madeleine Metro Station, a 5-minute walk from the hotel, provides access to the Tuileries Garden. The Madeleine Church is just 240 metres away. Please note that guests wishing to shorten their stay will have to pay the amount of the 2 following nights. 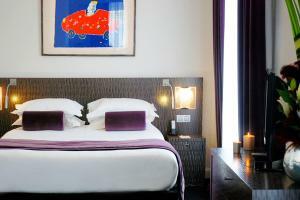 A contemporary, spacious room featuring a minibar, air conditioning and a flat-screen TV with satellite channels. Free, unlimited Wi-Fi is provided. 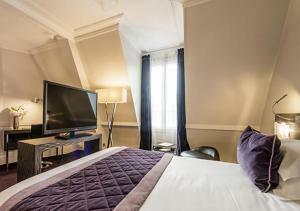 This modern room features a minibar, free unlimited Wi-Fi access and a flat-screen TV with satellite channels. An iPod docking station, a coffee machine and air conditioning are also provided. These rooms have American plug sockets. 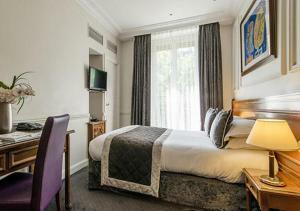 This spacious, modern room features a minibar; free, unlimited Wi-Fi access and a flat-screen TV with satellite channels. 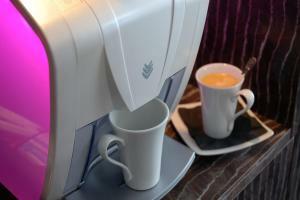 An iPod docking station, a coffee machine and air conditioning are also provided. These rooms have American plug sockets. 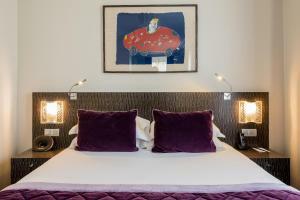 This twin/double room has a soundproofing, air conditioning and electric kettle. 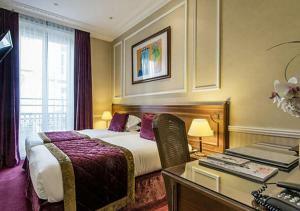 Located side by side, each room has a desk and flat-screen TV. 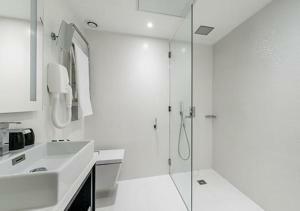 A private bathroom with free toiletries, bathrobes and slippers is offered in each room. 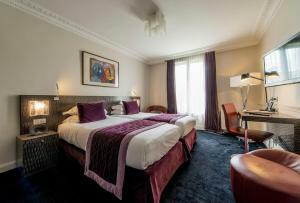 Located side by side, those superior rooms have a minibar, expresso machine and flat-screen TV with satellite channels. 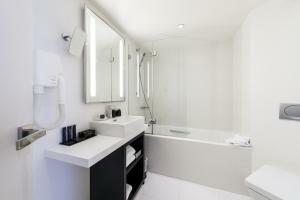 A private bathroom with free toiletries, bathrobes and slippers is offered in each room. 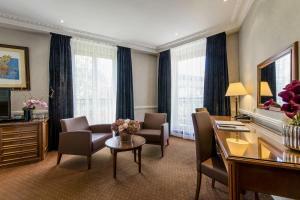 This twin/double room is more spacious and features a balcony, seating area and minibar. 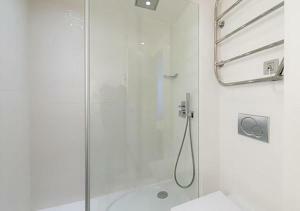 The private bathroom is complete with a bath or shower. 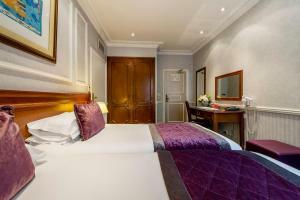 This twin/double room is more spacious and has a balcony, flat-screen TV and seating area. 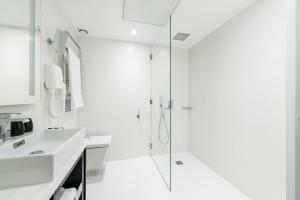 The private bathroom is complete with a bath or shower. 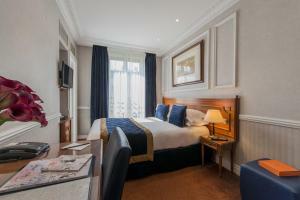 This twin/double room features a balcony, soundproofing and air conditioning. The private bathroom is complete with a bath. 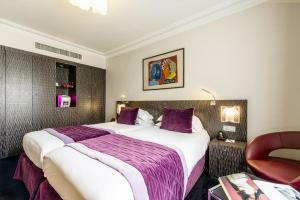 Rate: € 135.00 ... € 525.00; select dates below to get current rates.